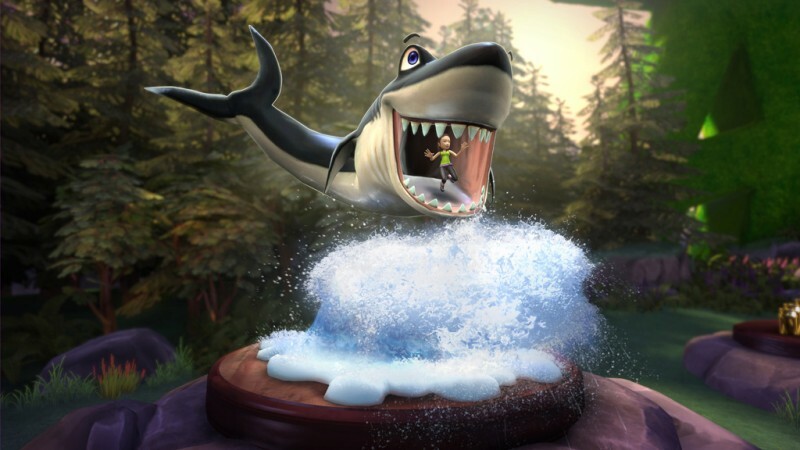 Kinect Adventures is exactly the kind of all-in, jump around experience that Microsoft must have envisioned for its Kinect peripheral. The game invites players to push the furniture out of the way, take off their serious gamer hats, and simply have a good time. As a pack-in title, it does a brilliant job of demonstrating what the tech can do. As with other Kinect titles, you’ll need to clear out a little space before you start this one up. More specifically, the game scans your playing area before starting, determining if you have an optimal space or one that’s merely good. It’s an important distinction, since the latter restricts you to the single-player mode. Since so much of Kinect Adventure’s success rides on the frantic multiplayer, it’s worth taking whatever steps are necessary to make enough room. Once you’re in the game, you can play one of five main minigames in a standalone free-play mode or in a series of events called adventures (aha!). Five might not sound like a particularly large number – and it’s not – but there are enough subtle variations of each game type to keep things from growing stale immediately. 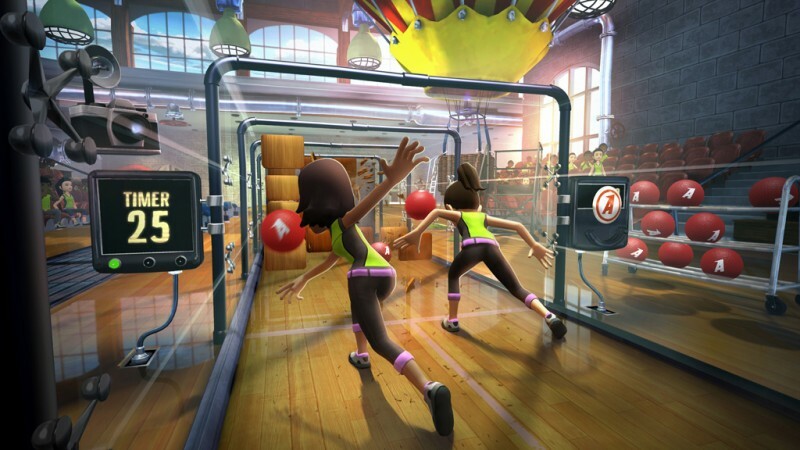 Rallyball was one of the earliest implementations of Kinect shown to the public, and for good reason. It’s conceptually simple and easy to understand. You stand at the end of a boxed-in hallway and have to destroy boxes and targets by serving a rubber playground ball toward the objects. The ball bounces around the enclosure and returns, and you have to swat the ball back using your hands, head, and legs to keep it in play. 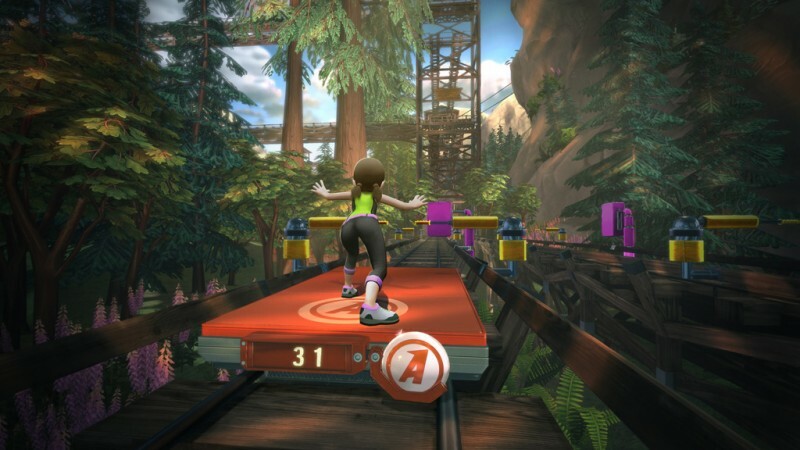 River Rush and Reflex Ridge are similar, putting you on platforms and having you either work to grab objects (in River Rush’s case) or avoid getting pummeled by them (in Reflex Ridge) by jumping and ducking. 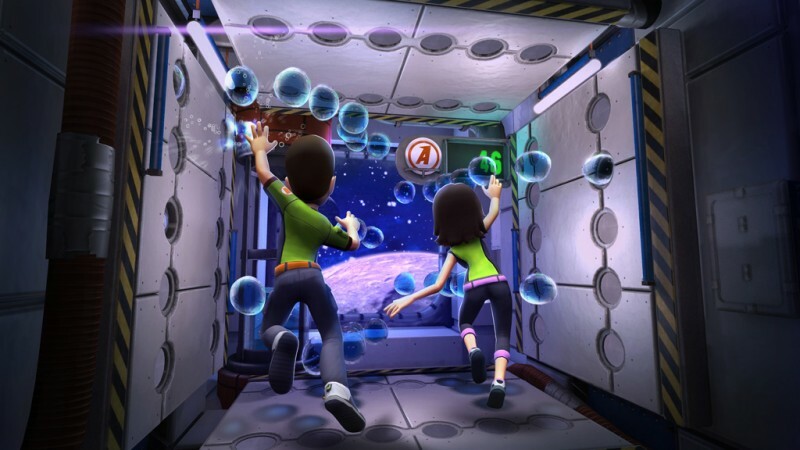 In Space Pop, you have to float around in zero gravity to pop bubbles. Finally, 20,000 Leaks throws you in a glass undersea box in which you must move to fill in leaks and cracks with your body. It’s remarkable how well everything seems to work, and after a while you take the controller-free experience for granted. At first, playing River Rush co-op was an exercise in near collisions and unintentional pratfalls. After a few rounds, we were able to navigate through the rapids with ease, leaning and jumping in tandem. As with a lot of Kinect games, after each round you’re treated with still images of yourself jumping, squatting, and generally looking like a goofball. The gimmick works well in the roller-coaster world, and it’s just as effective here. By now, most of us have played games that use glorified webcams, but they lack the precision and fidelity that Kinect offers. Being able to move around precisely in 3D space in Space Pop or 20,000 Leaks is incredible, and it speaks to the hardware’s potential. Avatar implementation isn’t flawless, on the other hand, as the characters have a tendency to freak out when you move your arms behind your head. 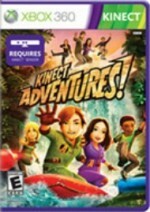 Kinect Adventures is a perfect game for in and out party-type play, but as the adventures become longer they can get tedious and exhausting – particularly Reflex Ridge’s sadistic “squat, jump, sidestep, repeat” gameplay. 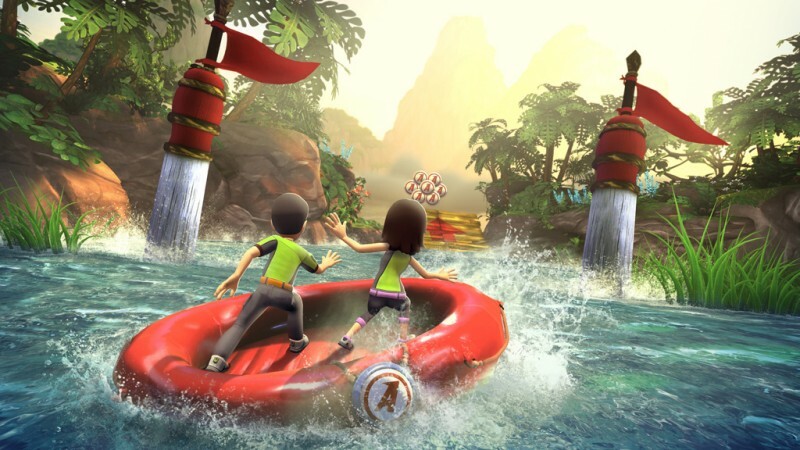 That said, Kinect Adventures is sure to be a family hit as people gather for the holidays. does a brilliant job of demonstrating what the tech can do.